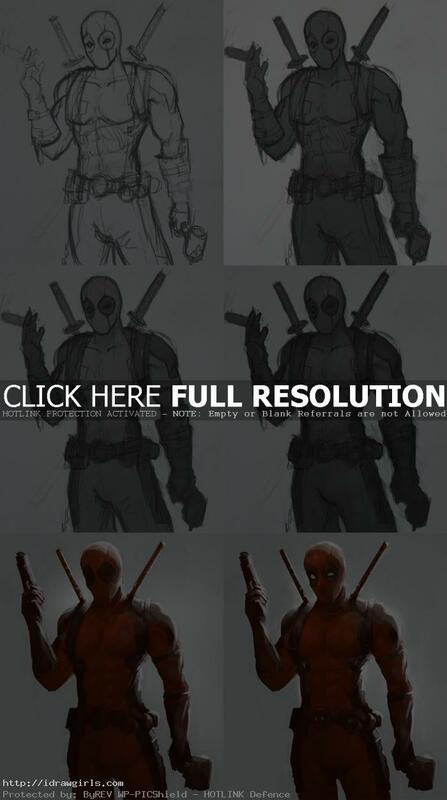 How to color Deadpool character from comics. 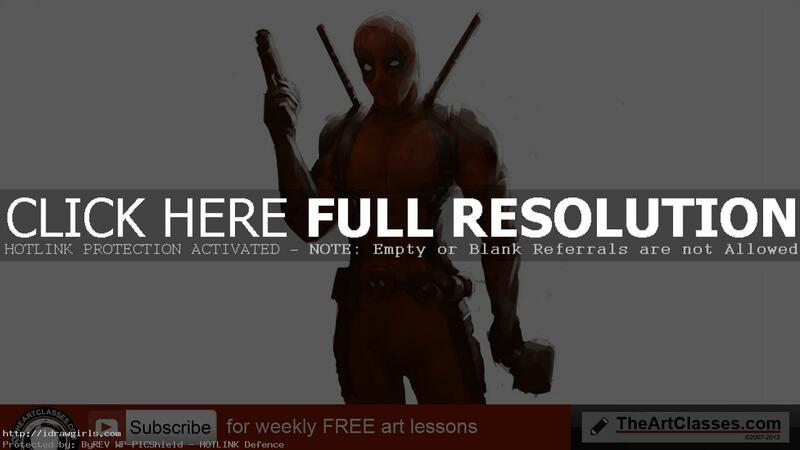 This video tutorial shows you how to color a drawing of Marvel character, Deadpool. In this process, I use mostly backlighting technique. Backlighting means you will see the figures or object mostly in shadow. There can possibly be rim light along the edge of the subject. It mostly comes from one side and some occasion both sides of the subject. So you will have to paint a character with limited value. In this case, the value within the range of shadow. When you look at the HSB scale on your interface, mostly you will use the color that have lower than 50% brightness (B). If you want to see Deadpool drawing tutorial, you can go to how to draw Deadpool. You can scroll down further to see step by step images with instruction. This is a painting of a quick coloring process of an anti-superhero, Deadpool. Since I am going to use back lighting for this one, I can make the background really light. You have to pay a lot of attention to the value you use on the character. Make sure that you have limited brightness. Don’t go over the cut off value you set when you add detail on the character. First, I focus on rendering form with limited value. Forms are really important in painting. If you can get the overall big form correct, you are more than halfway done. As long as you form contains realistic essence of the subject, it can look very realistic and dramatic lighting will help elevate your painting to another level without much effort. When you add secondary detail. Make sure your value is within the range of that specific area. Tips on coloring. Keep it simple first and make your image clear and easy to read or identify. Things you should focus on primarily. Here are step by step coloring Deadpool image. More video tutorials you might be interested in.